Protection control box for all M939 series trucks. New/unused. P/N 12450333, and replaces 11669304, SX75G3. NSN 6110014442546. Also replaces WSU4003UT, NSN 6110011448674. Made in USA. This control box provides reverse polarity protection, electrical spike protection, controls DC power to accessory circuits, controls/protects alternator output (60 amp units only), controls power to starter motor solenoid, and locks out start circuit when transmission is not in neutral. Control box and alternator will be damaged if the vehicle’s engine is not shut down properly. Turn off ignition switch first. Wait until engine rotation completely stops. Then turn off battery switch. Damage from improper shutdown is not covered under warranty. Box must be grounded via mounting bolts to operate properly. 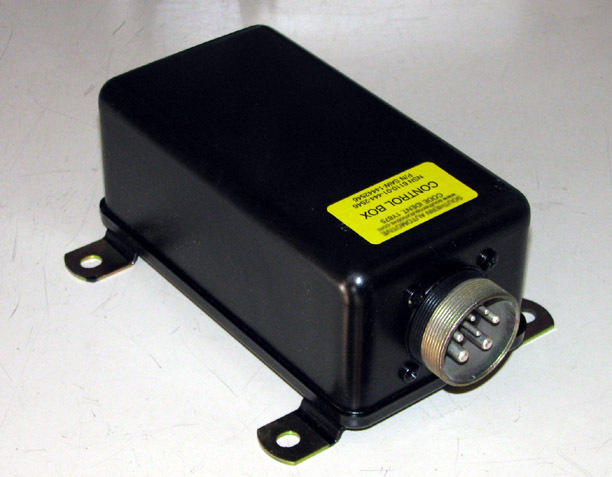 This control box is not for use on M809 series trucks.